One of the things I love about video games, in general, is that sometimes you actually learn stuff. Real-world stuff. And other times, you learn stuff you didn't need to know or even want to know, but you did, regardless. I remember playing an old game called Voodoo Vince, which introduced me to a genre of music called Zydeco. For quite a while, I immersed into that genre and even learned to play it, adequately, but not great. In other games, I've learned about different cultures, ways of doing things I hadn't thought of, and even how to do sketchier stuff, that honestly, I'd never put to use. But what about GTAV and GTAO? What kinds of things have we learned from playing this game for 5-6 years now? If you remember when the game first came out, there was all kinds of hubbub that kids were going to learn to drive recklessly from the game and get their licenses and drive the same way! There was a clamor about young people taking the game too seriously and becoming violent and overly aggressive as a result. But, in both cases, there's barely any evidence that those results happened. Or none at least I've heard of on a newsworthy scale. But, has owning and operating businesses or acting as a CEO given you and insight or motivation as to being a real-life entrepreneur? What has the combat taught you about real-life combat, whether about weapons, strategies, etc? And what have we learned about the game, itself, and the whole microtransaction business model, Shark Cards, and how this methodology has or will affect gaming, overall? As for the social aspect, what have we learned about each other, random strangers, and the idea of being anonymous in a landscape of like-minded players all bent on the same objectives? What about cheating, hacking, and finding loopholes in a system that tries hard to shut it out, but simply can't? There's a lot of potential room for discussion, if you're interested, but I'd be curious to hear how others have fared with GTAO over the years and what perspectives the game may have enhanced or changed over the years in your own life. Mind you, this isn't a B!tch & Moan thread, so please try to keep on topic of experiences and opinions... not so much griping. Has GTAV or GTAO taught you anything about yourself, other people, how to run a business, how the future of gaming or GTA looks, or other stuff? As always, just curious to read responses. Cheers! "I learned to always go before you leave the house. We've been here for six months and none of the bathrooms work in this game!" Well, there's no business like show business, like no business I know. I swear the real lyrics are "snow business," as in being snowed. mislead or charm (someone) with elaborate and insincere words. "they would snow the public into believing that all was well"
It inspired me to become a criminal magnate, and I now operate a car theft ring in the south east. I'm also very trigger happy. The past few years have only enforced my belief of "trust no one," because if you let someone else do it, most of them will screw it up somehow and you'll suffer for their idiocy. If you want something doing, do it yourself and don't get help. If I could do everything in GTAO by myself, including heists, I would. God I hate people so much sometimes. The past few years have only enforced my belief of "trust no one," because if you let someone else do it, most of them will screw it up somehow and you'll suffer for their idiocy. If you want something doing, do it yourself. If I could do everything in GTAO by myself, including heists, I would. It might be another topic for you @fw3, but I've learned a lot about car manufactures. Mercedes is only a synonym for Benefactor, Bürgerfahrzeug for Volkswagen, ..... I always had the feeling that the illuminati are driving the world - guess, it's the Housers?! Lots. Some good, plenty bad. My lad learned a little about money management and that's no bad thing to take into real life, though it does also take some of the simple fun of gaming out of it too. I keep an eye and won't let him get caught up in grinding. Just have fun with it, and I'll always help him of course. Co-op and compromise is another good thing. Enjoyable too. Always good to try and find a way that suits all rather than be forceful all the time and say 'I'm doing it my way. You gotta, or f*ck off' heists being top of that list. Good communication is only a good thing to learn, I feel. I've met many kids playing heists, and many really would outshine a lot of adults in GTA:O on this. But after RDRO, it's really just gone on to confirm my worst case scenario with gaming I feel. At least with how it currently is. We're not gamers being given a game to freely play. We're consumers to persistently monitise and it's to the detriment of my playstyle too. All focus is on recurring spending over enjoyment in so many ways, if something breaks, who cares so long as they don't see us make in-game cash from it. Then it'll get plastered over, but not fixed properly as something else comes to unstick that plaster. Gameplay suffers with all these cooldowns and limits too. Just so much that compromises gaming because they're looking for us to spend, and spend big. Trust. Trust that the next player you meet is likely to screw you up. These businesses are a fine example. Pushed me out of public because of all that bullsh*t. And what does R* do, more to see another f*ck you up, lol. Glitches run riot, stupid easy to use toys add chaos, all to sell cards I feel. Cheating pays, legit is a fools errand. Granted, I got hooked on this game, another issue I found and learned from, but R* did nothing to stop menu's on old gen, PC is a fiasco too. Took them this long to finally go for menu creators. They use an automated system that even bans legit gamers. Zero a player can say, you're gone. I lost a lot when that old gen sh*t happened. (Though accept it's on me that I returned, so know I'm part of tgat problem too). The game is so compromised by it, and the way it's widely accepted by R* while making so much money only taught R* that so long as they get theirs, f*ck the gamers. Really, I've nothing against what others do to their game, but leave me/legit players be, give us security in knowing if their systems mess up, we're safe, but R* didn't. I simply don't trust them. The anonymity. Trash thrives like this. Bullying can too. Heard far too many grown men be disgusting towards women, children, and other races/religions etc. Some I'll never forget too, being my first online game and first real foray into the internet, to say I was shocked is an understatement. I know the planet has it's share of real pricks, but these are just videogames, lol. Crikey! Some get far too serious and nasty. And with this game, seeing how grief, trolling, and tryhard cultures grow, and be pandered to by the developer, really left an impression on me. Hell, it even saw me become a prick for a spell, had to get out and since I returned, I just rely on me and the good guys I met here/in game. Rarely add another to my friends list these days, and after the poison that brewed over me removing some lass that took strong offence, I haven't deleted any I don't now play with as it lead to too much drama that saw me turn sour. Not worth that headache, lol. RDRO being public only and seeing gold bought in a beta really just was that last laugh. I feel though R*/T2 got rich, they learned so much I feel is wrong and goes against what gaming and open worlds should be. It's an amazing looking game, story mode is a great game, but online is another monster brewing I believe unless R* do more to improve so much. They want us at odds so as to hide their bullsh*t. I cannot play that kind of game again so here in GTA:O I just enjoy what feels like the last and best of what R* can offer me. Oops, rant over. Sorry folks. Enjoy. I've spent more time reading this forum, Reddit and Steam than actually playing this game. People are strange. Started my online gaming in 99 with Unreal Tournament. Met players from all over the world. And fragged them. Made a clan. Had fun. For me gtao is a limited sandbox with strict rules. Yet we have some freedom to have a few laughs and just play. Players are strange. From the mute newbs to the screaming tryhards. No lobby is the same. That is what keeps me playing. No lobby is the same. And what I have learned is that online gaming is epic fun. Asian players are joining online gaming for real, just look at how the Steam community has changed over the last 10 years. To sum it up. One of the biggest and most read/shared news article here in Norway really put online gaming into the heart of modern culture. A young man in a wheelchair dies. His parents believed he was lonely. Then some of his friends he met through gaming, people he met online, his friends showed up in his funeral. 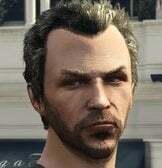 What I really want to know is what R* have learned from all this GTAO business. I've learned that public free roam should be burned. Such a fascinating social experiment; between this game and Eve Online, its been tremendously educational seeing what scum most people turn out to be when given too much freedom and its no surprise world governments keep such a tight leash on their citizens. I've learned to not take people at their word but to gauge them by their actions, to expect the worst and hope for the best and that only money truly matters to those in power. Even in GTA there are people abusing 'welfare' by taking up mission lobby space and standing around afk while the low levels are repeatedly gunned down around them just for trying to accomplish the objective. Confront the afkers and their attitude is much like in real life: "Whatever, its free money." Sun Tzu was a genius and while all his teachings have been the basis for my success in this game, there is always that one; "Supreme excellence consists in breaking the enemy's resistance without fighting." "Adversary modes are really popular when you look at player participation during double payouts. And people love to buy shark cards to make some quick money." im still trying to figure out how to dupe my car, once i get that down, ill be set for life! Have you tried using hookers? It inspired me to become a fridge magnet. Seriously, i found out I really like '67 Impalas. Also that there are many people around the world who like pretty much the same things I like in games...and many more who don't (already knew that part). Have you got something against magnets? Somehow, something that is constantly updated can still be hollow. I've learned that the future is bleaker than I first imagined. to never touch biker sh*t and only invest in import/export and the weapons trade. It’s taught me that there are some strange f*cking people who play this game. Its interesting that you have created this topic. Ive learnt serveral things since i started playing gtao in Dec 2014 to present. I learnt how to deal with other players to making new friends across the world. In regards to the bussineses I learnt how to run them all over a period of time for profits and fun. In regards to combat/pvp alot has changed since I started and have to adapt to the current climate. Ive since retired from pvp. On real life I did do Australian army basic training and some other form of training as well and learnt alot from it but thats a whole different story. Ive also met ppl in real life on two sides of the law so I understand both parties. Any who to wrap this up yeah gtao and everything it has to offer has taught me alot. Thanks for reading. Nice topic btw mate. I learned how to be a self absorbed and materialistic prick! Oh and I've started selling coke.